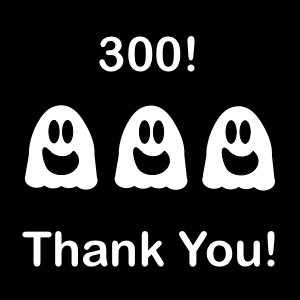 Three Ghost Friends: Thank You for 300! Yesterday, I sold the 300th Three Ghost Friends book! I am so thankful for your continued support!